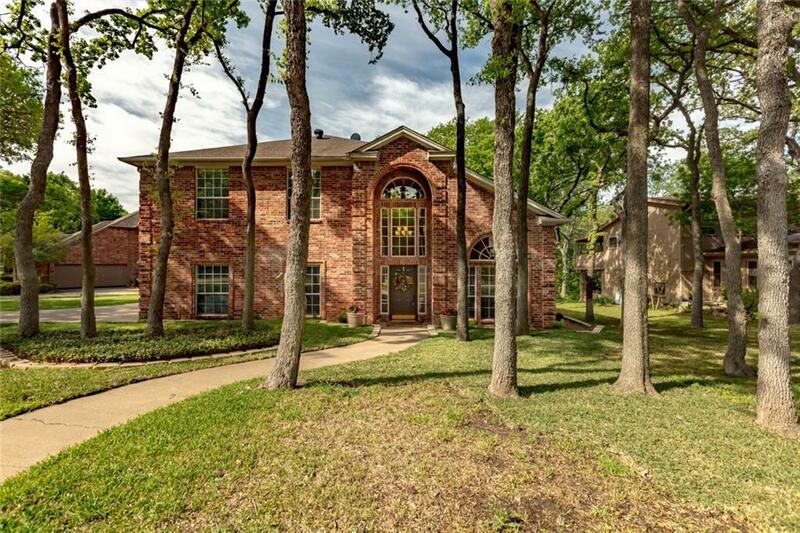 You will appreciate this wooded CREEK LOT with a classically styled home. Remarkable property with two story foyer, wood floors in all the right places and a dramatic staircase. The welcoming floor plan provides for easy entertaining with the combined living and dining spaces. Sunny kitchen is a great place to start the day with its open access to the breakfast nook and family room. The best view is over the kitchen sink...two big windows bring in that green, private view! A study with glass doors, full bath and oversized laundry room round out the first level. Upstairs youâll find master with vaulted ceiling and wonderful bath, both with great backyard views and three additional bedrooms. Seldom seen location!